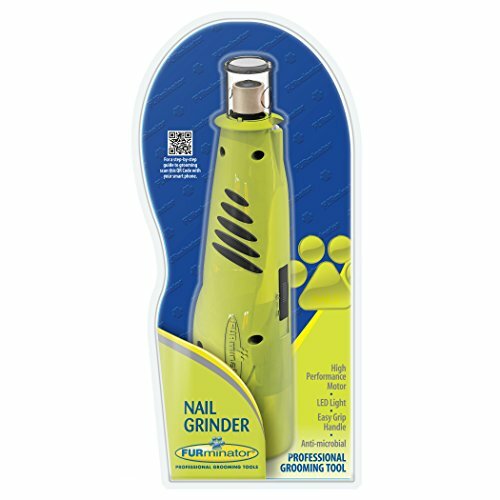 We use a cordless dog nail grinder for our Bobo Dog’s nails and love it. These things are God’s gift to those of us owned by our dogs. They wear down the nail in much the same way a dog would naturally if they ran around enough outside. The first one we used was a Pedi Paws, like you see advertised on TV. My mother got it for us because we had such trouble using dog nail clippers on our 1st dog, Albert. Wish I’d known about dog nail grinders while he was still with us. Bobo has never had his nails “clipped” we started using that nail grinder on him as soon as we adopted him when he was 7 or so weeks old. Honestly, I didn’t think this thing would work. I couldn’t see a dog sitting still with it buzzing away. But my daughter is a genius. She turned it into a game at first so he wouldn’t be afraid. But the game quickly lost it’s charm and now our dear Bodacious is so distressed by the process he takes a nap while she trims his nails. We will never go back to using clippers. EVER! But we did want to find a cordless dog nail grinder that didn’t use batteries. 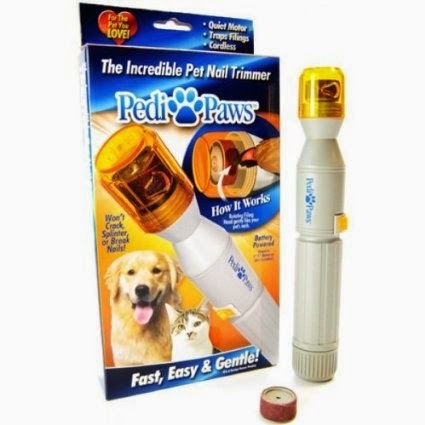 We found that the Pedi Paw just wasn’t economical for us (and probably not good for the environment either) because to get the grinder to spin fast enough the batteries had to be at full charge. When the batteries start to weaken it just takes too long to grind the nail down. Even the ever patient Bobo starts to get antsy. It also really bothered us to toss out half used batteries. That’s just wasteful and expensive too. 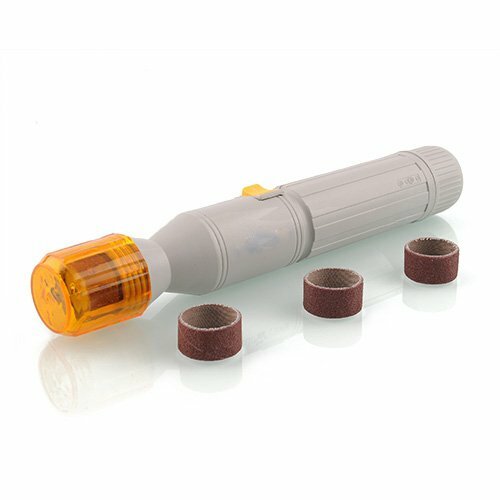 So we’ve been researching other cordless dog nail grinders. 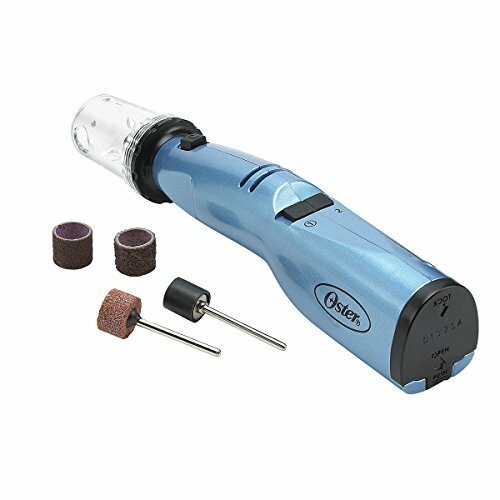 We really like this Dremel 7300-PT 4.8-Volt Pet Grooming Kit. It is still cordless, which we like, but with the rechargeable battery it’ll always have maximum power. 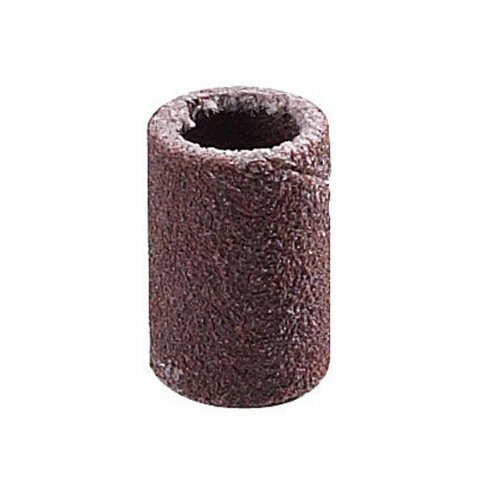 It comes with 5 sandpaper grinding disks and replacement parts are easy to find, either online at Amazon or our local hardware store, because it’s a Dremel. For the record, we looked into getting rechargeable c batteries and a charger. 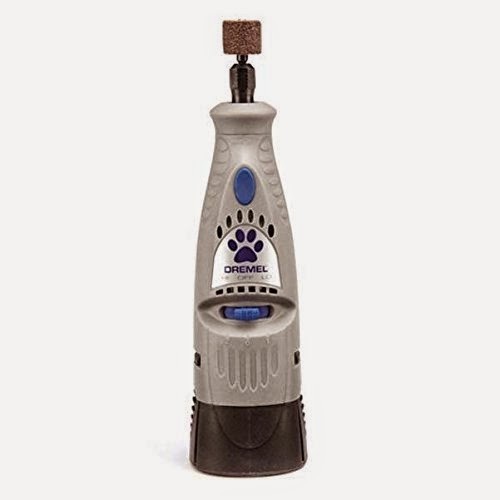 Because the Pedi paws really does work well but the batteries and charger cost more than getting the Dremel unit which comes with a rechargeable battery and charging base. According to user reviews the batteries last over 2 years and replacement batteries cost only around $12. 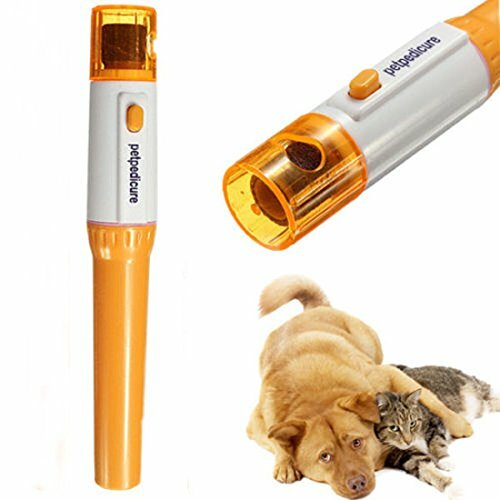 Return to our Dog Product homepage!